Hudson Headwaters welcomes all patients regardless of insurance status. 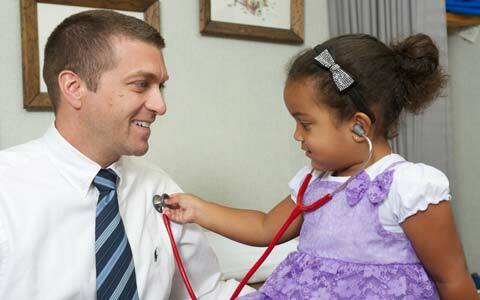 We participate with most major insurers including Medicare and Medicaid. We offer financial and billing assistance through budget agreements, a Sliding Fee discount for medical, dental and other services, and RX Assist for financial assistance with ongoing prescription needs. Hudson Headwaters keeps a record of all financial transactions related to your health care. You are responsible for paying in full for any non-covered services, co-payments or unmet deductibles at the time of your visit. Here’s a link to our list of insurance carriers: Hudson Headwaters Insurance Carriers. Payment in full is also expected at the time of your visit if Hudson Headwaters does not participate with your insurance plan. Our charge schedule can be found here: 2019 Charge Schedule. Please be aware that you may receive services at a Hudson Headwaters facility that may be from providers, practices, or others who are not employed by Hudson Headwaters. In these cases, you may receive a separate bill from them for the services they provided to you in our facility. For your convenience, we have listed most of the other providers with contact information, in the event you need to address a billing concern. For questions about Hudson Headwaters billing, or if you would like to discuss setting up a budget/payment plan, please call our patient support services team at 518-761-0300, ext. 31400, between 8:00 a.m. and 4:30 p.m. For Dental billing questions please call 518-623-3918 (option 3). Not an insurance plan…no monthly premium! 8 out of 10 people that apply get approved. At Hudson Headwaters, we believe that no one should delay seeking needed medical care because they lack insurance or have high medical costs. That’s why we offer discounts and payment plans to eligible patients. We offer a Sliding Fee program that discounts your cost for medical and dental care at our health centers (including primary and specialty care, many dental services, prescriptions, and x-rays). You may be eligible for the program, based on your household/family size and how much you earn, even if you have insurance. Download the Sliding Fee Program Application to complete an application. You are a family of four living together and making a total of up to $51,551 per year – then everyone in the household is eligible (2019). You are a family of six living together and making a total of up to $69,181 per year – then everyone in the household is eligible (2019). Click here for our 2019 Sliding Fee Discount Schedule. If you have questions, need an application or help filling it out, contact our Sliding Fee Program staff by phone, 518-824-8640, or by email, SFPRxAssist@hhhn.org. You may be eligible for brand name medications for free. Participating pharmaceutical companies make medications available to eligible Hudson Headwaters patients. You may qualify if you have no insurance or prescription coverage, high prescription co-pays or deductibles, low to moderate family income, and ongoing medication needs. Available brand name medications are typically for patients with ongoing medical conditions such as: diabetes, high blood pressure, anxiety/depression, asthma, COPD, and high cholesterol. For more information, contact our pharmacy assistance staff by phone, 518-824-8640 or by email, SFPRxAssist@hhhn.org. We believe that no one should delay seeking needed medical care because they lack insurance or have high medical costs. That’s why we offer discounts and payment plans to eligible patients. Hudson Headwaters can also help you enroll in other programs for low-income patients. To find out more, please call our toll-free information line at 1-855-650-0112. Download our Financial Services Brochure today to read more about our services. The EASE (Enrollment Assistance Services and Education) program assists individuals, families and small business owners enroll in health insurance coverage through the NY State of Health Marketplace. The program serves seven counties: Clinton, Essex, Franklin, Hamilton, Saratoga, Warren, and Washington. Click here to learn more.